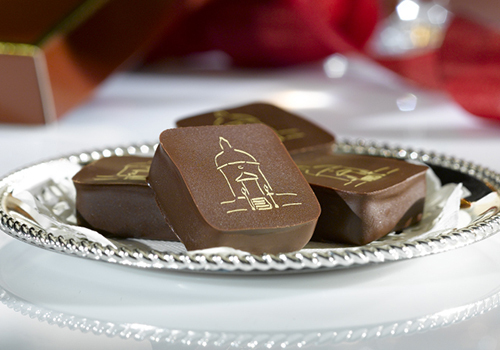 Karin Gruber created the starting impulse to found the company with her idea of developing a Silent Night praline, over 20 years before. The Silent Night praline is an artwork made of the finest chocolate, a very elegant nougat brittle filling and an elegant hint of orange. It has only the highest quality ingredients, such as chocolate with a high percentage of cocoa, fine cocoa butter, nougat, and refreshing oranges. The fabrication is performed in carefully coordinated refinement steps. This means that the individual ingredients can blend harmoniously until they achieve their delightful effect in the praline. You can feel and taste the love for detail in every single piece.